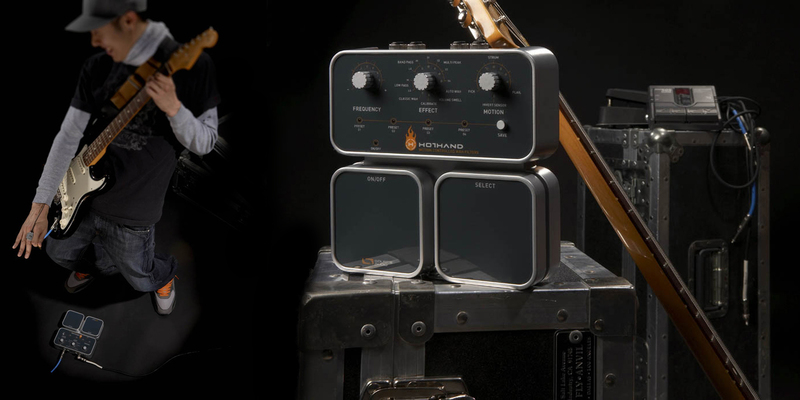 Source Audio’s initial innovation is the ground-breaking Hot Hand Motion Controlled Wah Filter. 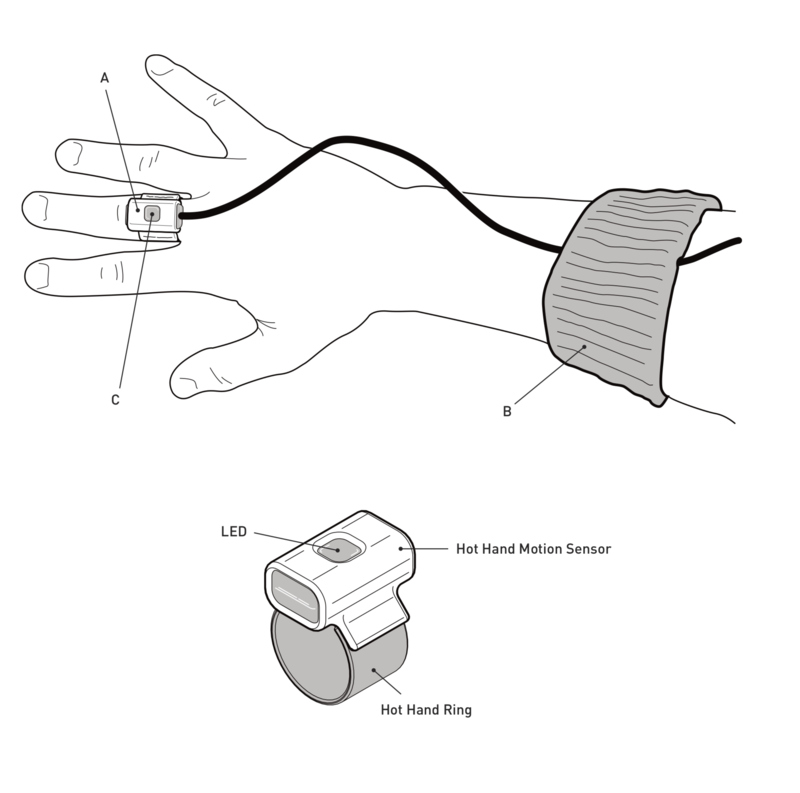 The Hot Hand Motion Controller Ring converts hand movement into a digital signal using an accelerometer, a technology pioneered by Analog Devices. The ring combined with the Motion Controlled Wah Filter pedal produces effects similar to the Dunlop Cry Baby Wah, a pedal made famous by players like Jimmy Page and Jimi Hendrix. 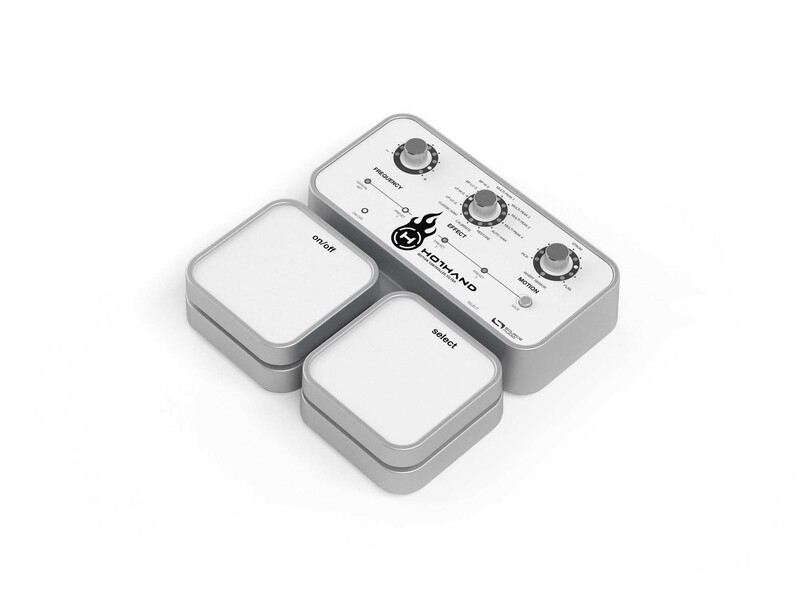 The unit offers 11 different wah filters, including classic wah, low pass, band pass, multi peak—and volume swell, which produce a wide range of wah effects. Source Audio engaged IDEO in 2005, shortly after this startup was founded, to develop the design language and the user-experience of the ring/controller experience for this innovative product category. The ring consists of an accelerometer, which allows the user to modulate the effect curvature. The first Hot Hand model was connected with a cable, which shortly after was replaced by a wireless version. Hothand was release in 2006. 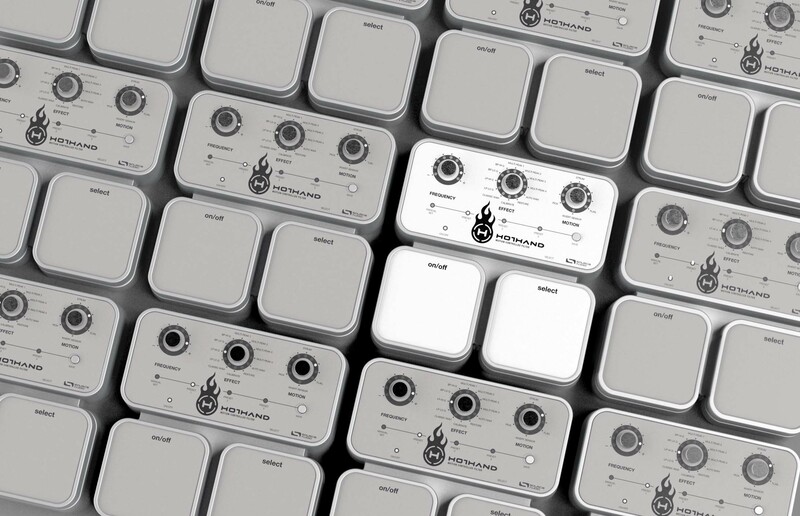 Since that time, Source Audio's distortion, filter, modulation, and Hot Hand products have found their way onto the stages and recordings of David Bowie, Phish, My Morning Jacket, The Cure, Victor Wooten and Adrian Belew, to name a few.